It was indeed inspiring to meet Hj. Dr. BRA. 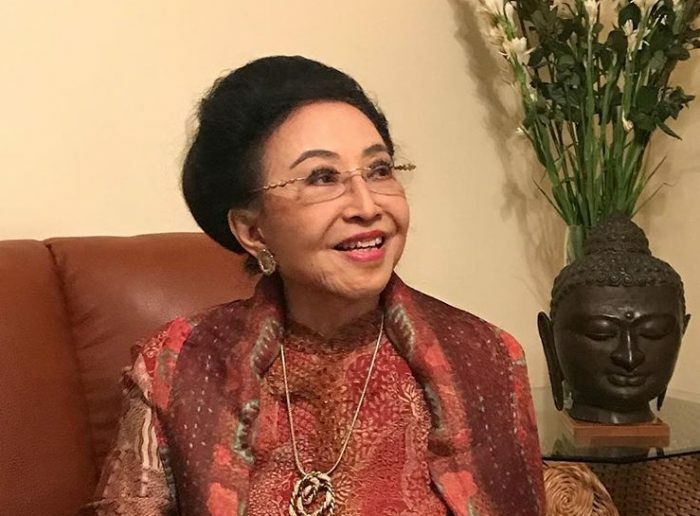 Mooryati Soedibyo, founder of the successful Indonesian herbal supplements and cosmetics company Mustika Ratu. She is a blue blooded Javanese and the granddaughter of Sri Susuhunan Pakoe Boewono X Keraton Surakarta, of the Royal Palace of Hadinigrat. “Empu Jamu” was a nickname given to her, for her audacity of defying traditions and started a business inspired by her royal upbringing: manufacturing herbal supplements, better known as jamu, as well as traditional cosmetics. She learned about herbal medicine and traditional Javanese cosmetics from her grandmother; the traditional knowledge passed through generations of the royal family. This is what she used to launch the cosmetics company Mustika Ratu in 1975, at the age of 47 after her husband Soedibyo Purbo Hadiningrat had retired. Incidentally, Soedibyo Purbo Hadiningrat studied textile engineering in India on a scholarship from the Govt. of India. They were married in 1956 and have 5 children. In 2002 she was named Entrepreneur of the Year by Ernst & Young Indonesia for developing Mustika Ratu, one of the biggest beauty companies in the country, which exports to nearly 20 countries, including Africa, Russia and Malaysia. The company also operates its own spa resorts. She has now passed on the leadership of the company to her second daughter, Putri Kuswinu Wardani. Ibu Mooryati is a postgraduate in English literature and a PhD in strategic management from the School of Economics at the University of Indonesia. Today at over 90 years of age, her looks and energy are age-defying. ‘I am healthy, happy and grateful,’ she said and attributes this to exercise, meditation and prayers. 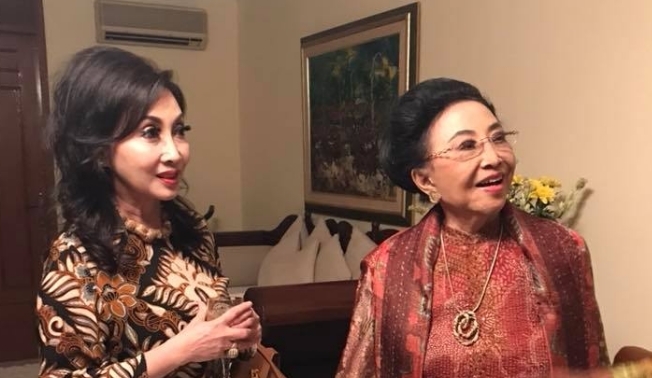 Ibu Mooryati is also known for her work in the beauty pageant foundation Yayasan Puteri Indonesia and has held the position of Vice Speaker for Indonesia’s Consultative Assembly (MPR). She is also active in social, humanitarian and cultural activities. Her latest project is to produce a movie on ‘Sultan Agung – The Untold Love Story’ and showcase the 3500 years old heritage of Solo.